Now whenever I tell people that this perfume is by Britney Spears, they turn their nose up at it and I feel the need to defend it endlessly. But honestly this is probably one of the nicest perfumes that I own, it's called Midnight Fantasy and it reminds me a lot of Alien by Theirry Mulger but Summery-er -see, awful attempt at explaining! Boots describes the fragrance as this: 'An intoxicating elixir of luscious fruits that invites you into a mysterious realm of temptation and intrigue.' 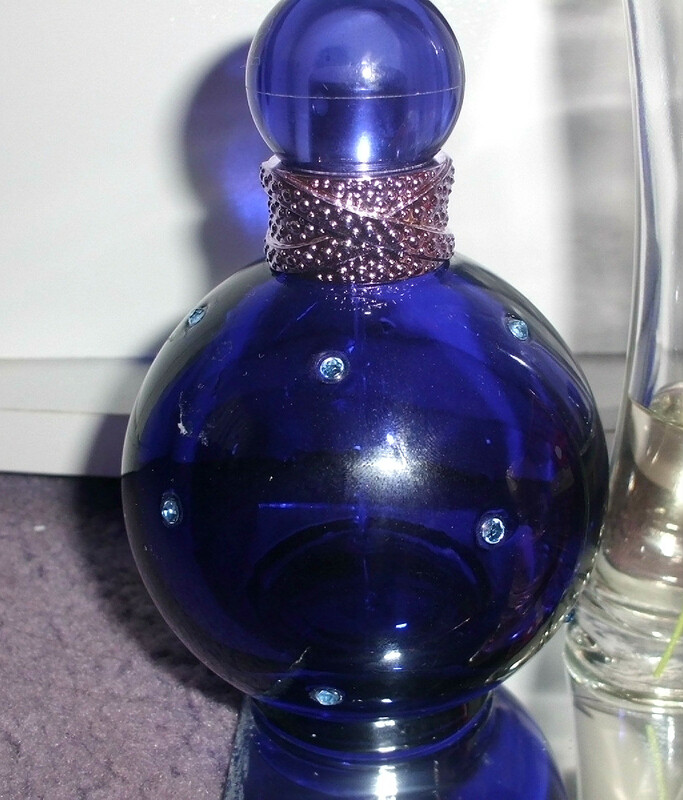 Depending on what size bottle you get the prices same to range from about £15 to £25. 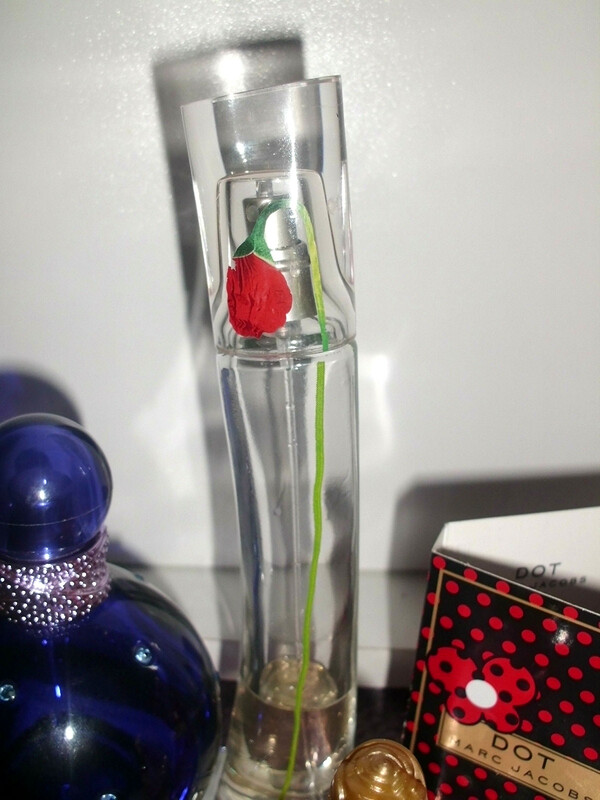 I only have a miniature bottle of this which is sad as I got it in a multi-pack of Theirry Mulger perfumes. I love Alien, but I'm not a fan of Angel but Womanity is more floral than Alien is. 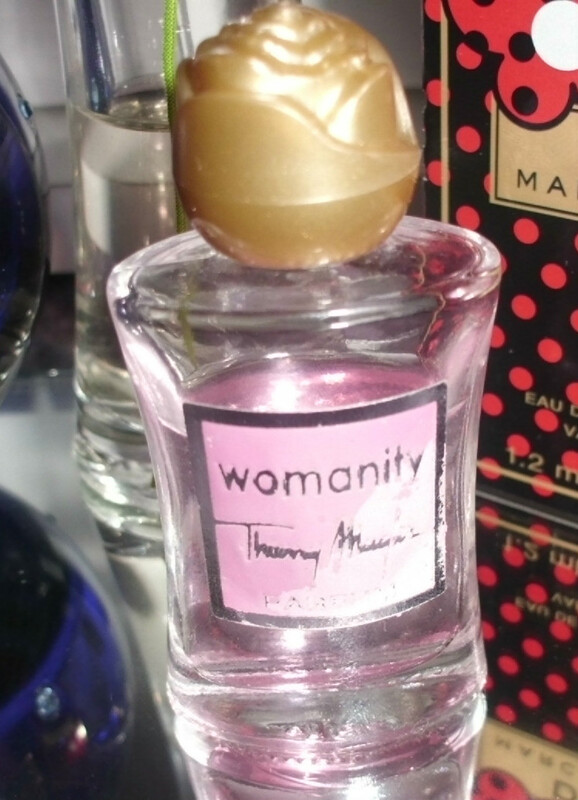 Womanity is described as a tangy velvety fragrance on a salty-fig wood base note. These seems to vary a lot in price, but it seems to be around £30 to £50. Last up we have a tester, which is just so awful as I only have like 2 sprays left, so I'm savering it! 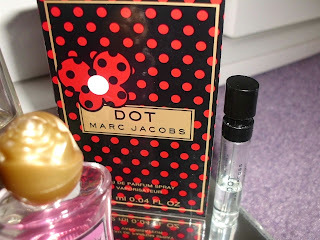 I really want to get the full bottle, but Marc Jacobs perfumes are a bit pricey so I will have to wait to come into some money! The bottle for Dot is just adorable, I love it! It's described as 'incorporating red berries combined with pitaya fruit, known also as dragon fruit. The juicy and exciting opening is followed by a floral trio composed of honeysuckle, jasmine and orange blossom, while a base closes with a trail of coconut water, vanilla, driftwood and sensual musk.' -Slightly long-winded description there but oh well-. It ranges from about £40 to £65. 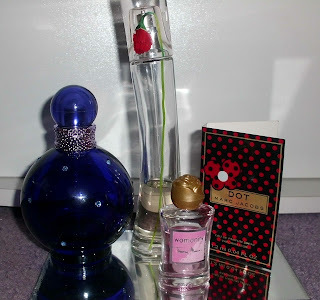 I love perfume, I almost feel naked without, comment below and let me know your favourite Summer scents. Speak soon, becciixx.